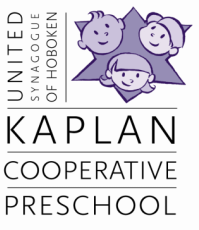 The Kaplan Cooperative Preschool is proud to be the founding partner for the Lunch On The Students program (LOTS for short). Each Thursday during the school year, we as a community will provide brown-bag lunches for our neighbors at the Hoboken Homeless Shelter. In addition to providing dinner for 100 people each night, the shelter gives out about 75 lunches a day. Our lunches help to lessen the burden on the minimal resources of the shelter and to provide high quality food to our neighbors in need. How do I participate in LOTS? Pack a brown bag lunch on Thursday and send it in with your child. There will be a drop-off site near the entrance. To get your children involved, have them decorate the bags! What if my child only comes for the afternoon program? Bring your lunch! We will get morning and afternoon lunches delivered. What should be in the lunch? Please try to include: a main course (e.g., pasta, a sandwich, etc. ); a drink; a piece of fresh fruit; a sweet; and any necessary utensils, napkins, etc. A great tip is to freeze a drink in advance so that it will keep the food cold. Please remember that containers will not be returned. All lunches must be meat and nut free in keeping with our school's policies. What if I am too disorganized to pack a decent lunch? First of all, join the club. Secondly, the great thing about LOTS is that you can do part of a lunch. Even some fresh fruit and a drink are much appreciated.